Naturally, questions tend to pop up while peering into the salami section of the deli case. What is sopressata made of? What does Genoa salami taste like? 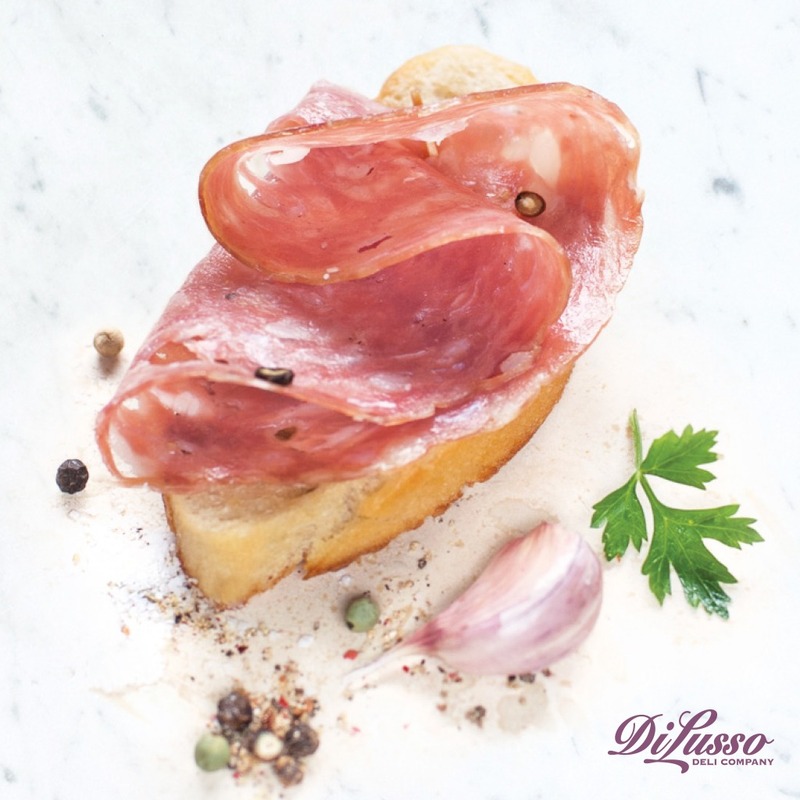 How do I use salami in recipes? Should I have it sliced really thin? Or is thicker better? To help you answer these questions and figure out which salamis blend best with your personal taste, we’re inviting you behind the curtain to learn about how we make ours. Everything from the ingredients we use to the curing process to some of our favorite recipes. A combination of fine ground pork and beef, delicately spiced for a savory flavor. 100% coarse ground pork, seasoned with a robust blend of spices for a slightly sweet flavor. 100% coarse ground pork, lightly spiced with peppers and dried fennel. 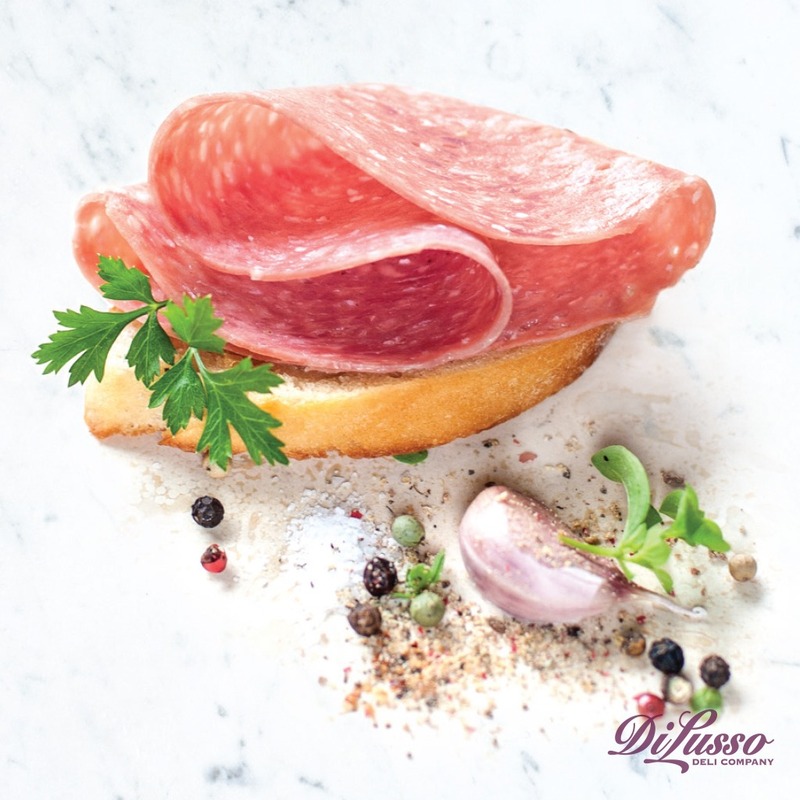 We follow recipes that have been handed down through the generations to preserve the rich Italian flavor and traditions that make our salami truly authentic. These recipes have stood the test of time and skillfully balance important factors like flavor, temperature and humidity. We combine ingredients, which have been carefully selected and measured, to create a flavorful mixture that gets pressed into hand-sewn natural casings. If you look at a large section of our salami before it’s sliced, you can see indentations from the stitches. Then it’s delicately hand-tied with natural twine. After the salami has been tied, it’s suspended at roughly room temperature in preparation for curing. Once the salami has begun to ferment, it’s moved to the curing room for drying. The curing room is set to a precise temperature and humidity to avoid the dreaded “case hardening,” which makes for some very sad salami. The next step, and arguably the most satisfying step, is saved for last – eating. Whether it’s a full - fledged meal or little appetizer bites, our hand crafted salamis complement a wide variety of dishes. For most recipes, we recommend having our salamis cut thin at the deli counter (about the thickness of card stock) so you get a nice balance of flavors. But feel free to try out different thicknesses to see what you prefer. Just ask for a sample slice or two at the deli counter. 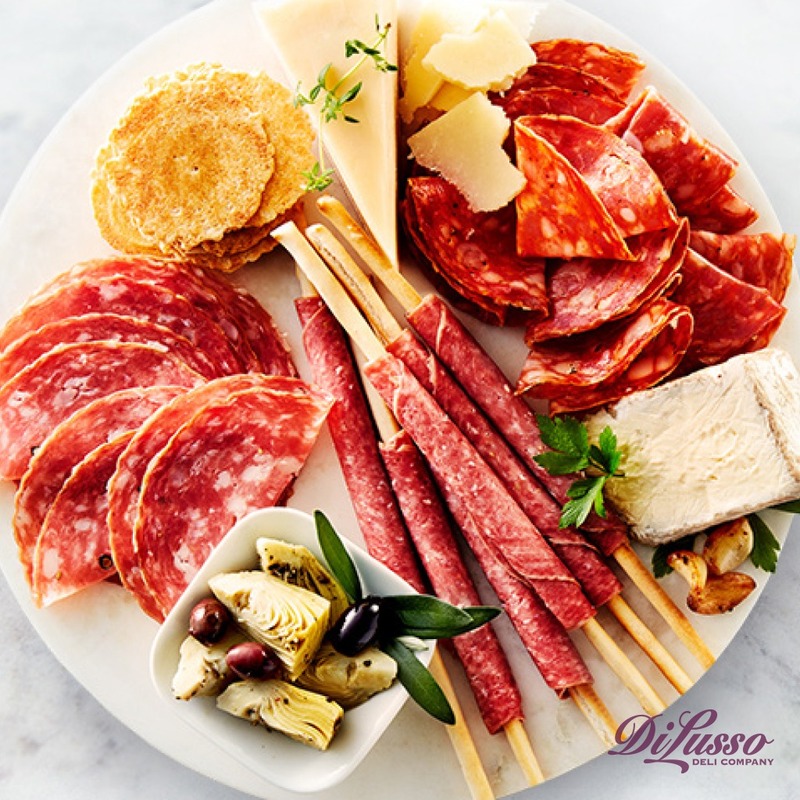 Our salami varieties are in their element when stacked with cheese, crackers and other tasty accoutrements. When considering flavor pairings for your board, make this your mantra: opposites attract. 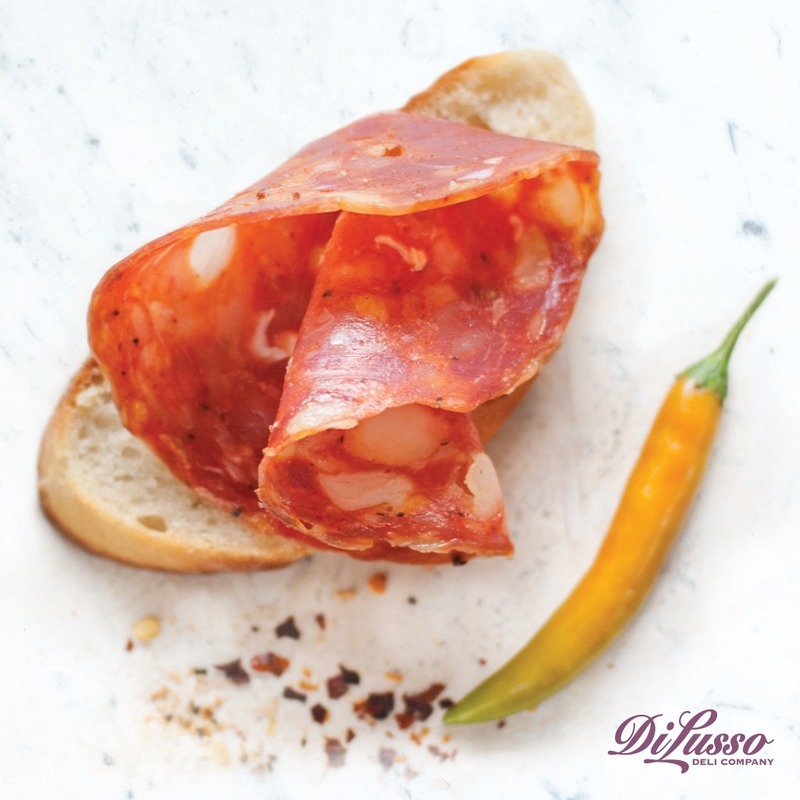 Couple our hot soppressata salami with something a bit milder like our provolone or Havarti. Match our savory Genoa salami with our Swiss, which has a sweet undertone. And don’t forget the condiments! Jams, mustards and aioli sauces will add another layer of flavor and texture. Simple. Fast. Delicious. 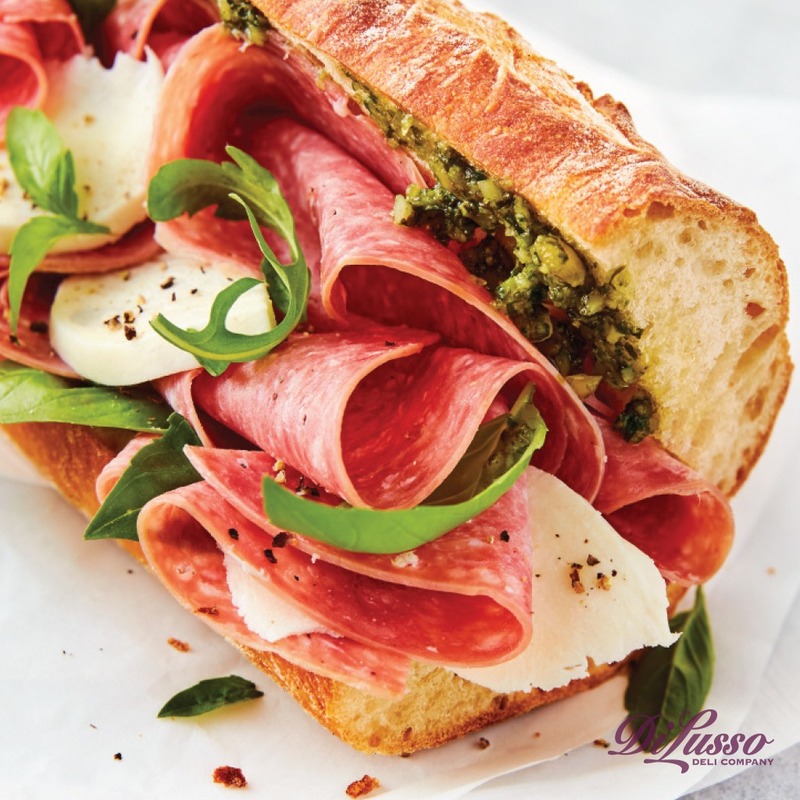 Brush baguette slices with herbed olive oil, bake them and then stack with our savory sopressata and provolone, pesto and heirloom tomatoes. A little fresh basil for garnish and this antipasto is complete! 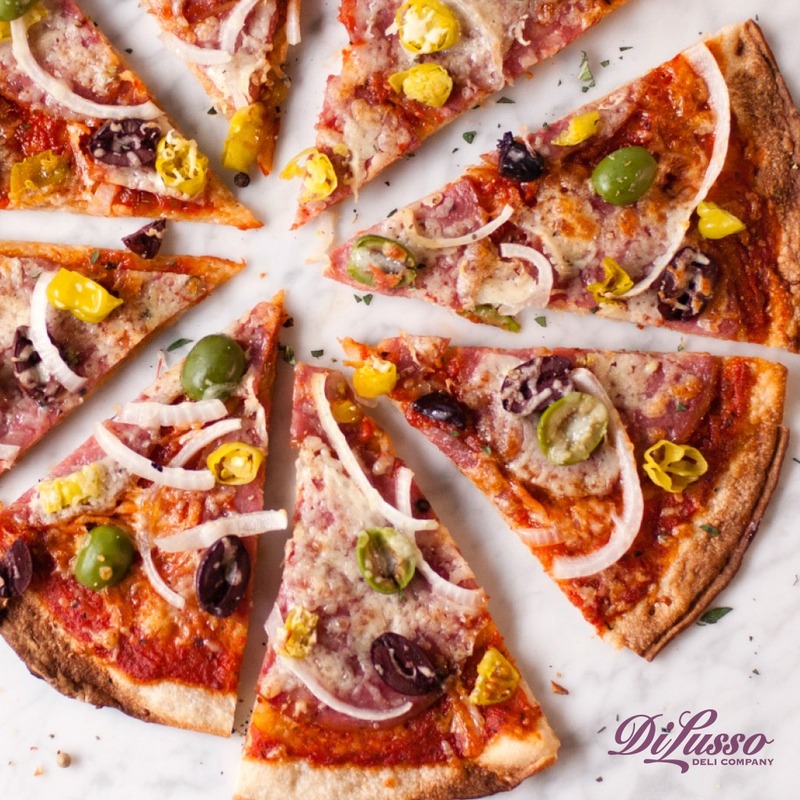 Ready to serve in 25 minutes or less, you get the taste of a gourmet pizza at a busy weeknight dinner pace. 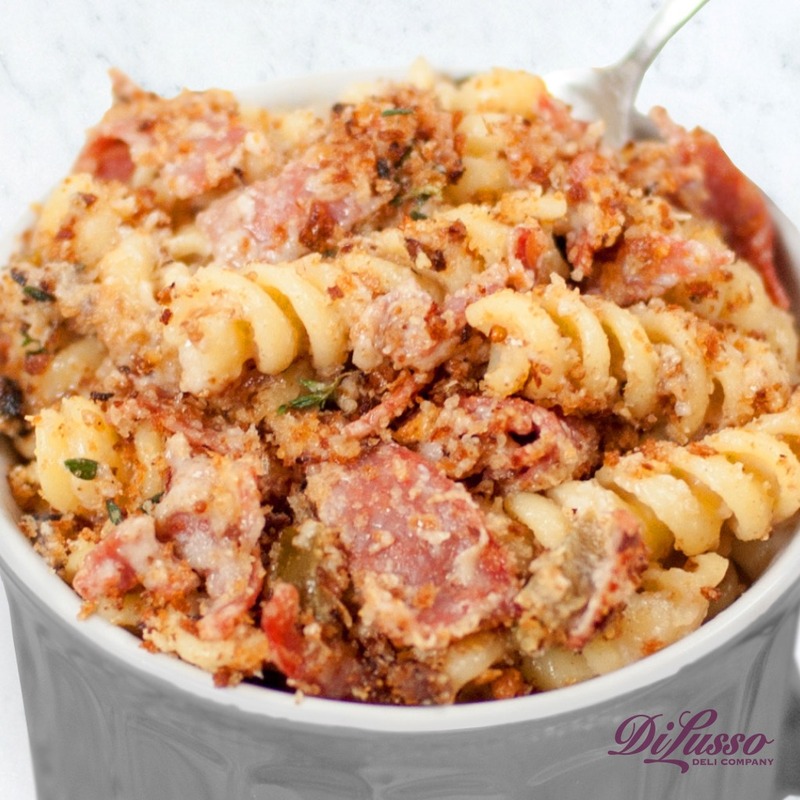 If you like a little heat, try replacing our sopressata with our hot sopressata. Or use a combination of both! Let personal preference be your guide. We recommend having the Sopressata sliced a bit thicker than normal at the deli counter – a little less than 1/8 of an inch. Lunch sandwiches don’t have to be boring, just ask these next three ‘wiches. Toasted bread brushed with olive oil instantly ups the texture and flavor. 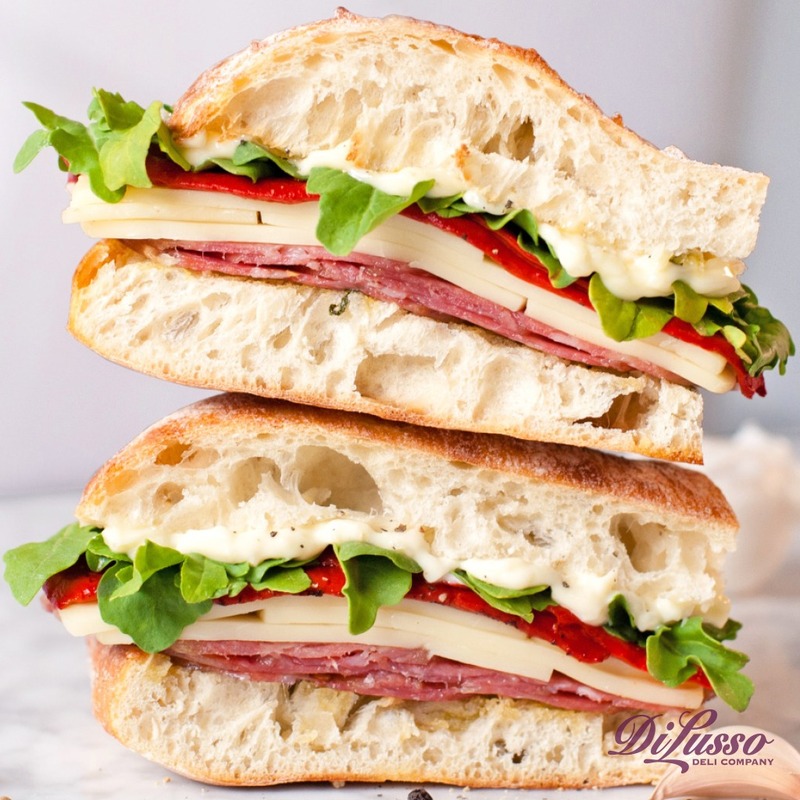 Our hot soppressata pairs beautifully with our melty mozzarella. A bed of peppery arugula and strips of roasted red peppers tack on savory goodness. And lastly, a few drizzles of our garlic aioli finish it off. Next up: a handsome hoagie built inside a crunchy French baguette. We love making this one a few hours before eating (like in the morning before work or in preparation for a road trip) to give the ingredients time to mix and mingle. The crusty baguette will soak up the pesto’s herbal notes while the fresh cracked pepper and olive oil will act as a marinade for our mozzarella. Sweet and savory are a perfect pair (or should we say, pear) in this gooey grilled cheese sandwich. 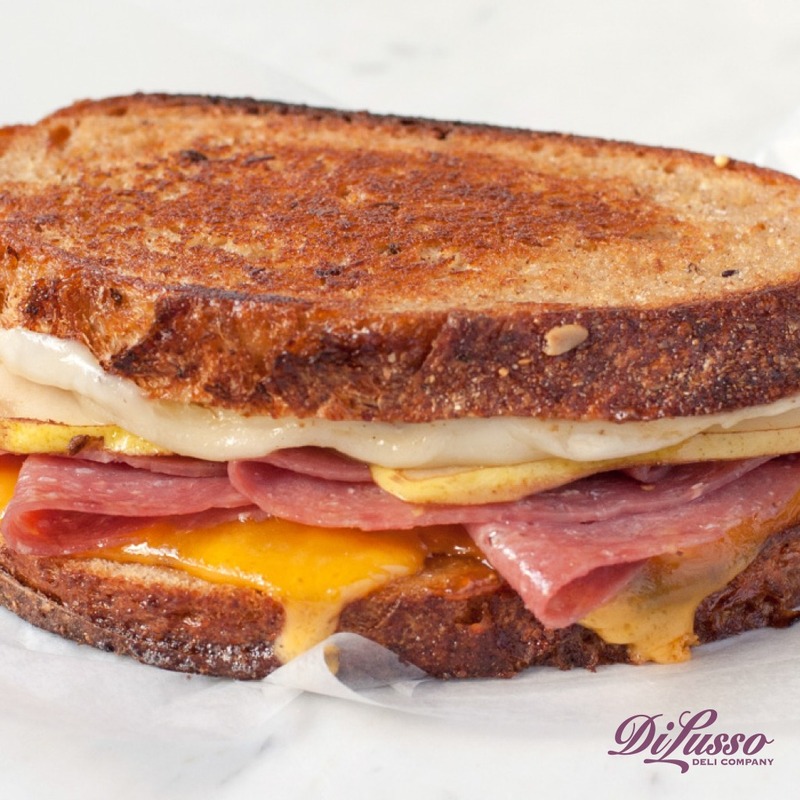 Fresh pears and a grainy fig spread bring the sweetness while our Wisconsin sharp cheddar and Genoa Salami bring the savory-ness. Crank up the heat while satisfying your comfort food cravings. 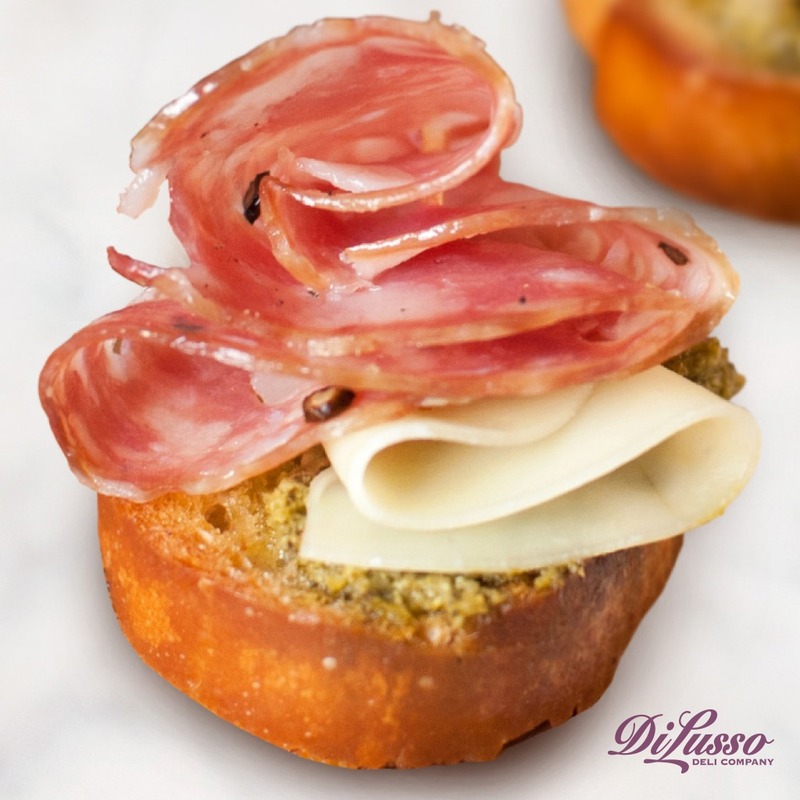 Our melted pepper jack and hot sopressata bring the spice while toasted breadcrumbs help tame the heat. Pickled jalapeños add a touch of spicy-sweetness. Mac and cheese for the win! You really can have salami at every meal, and this sandwich proves it. 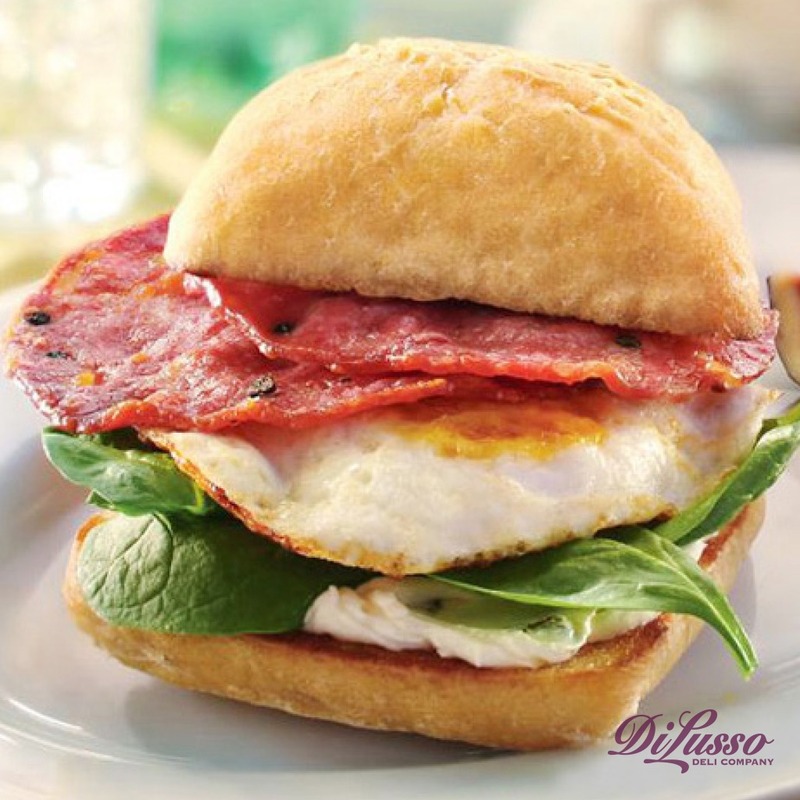 Our sopressata - fried until slightly crisp - teams up with a fried egg. Herb cream cheese lays a velvety smooth and fragrant foundation while baby spinach gives it a fresh feel.